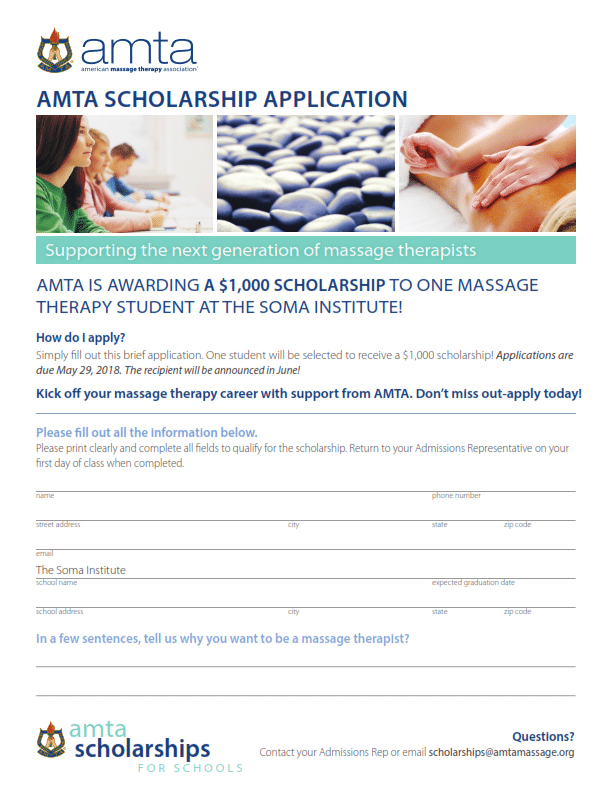 One student from The Soma Institute will be selected to receive a $1000 scholarship in support of the next generation of massage therapists. Simply fill out the form below and turn it in to a Soma Institute faculty or staff member by May 29th, 2018. Prospective students please contact Stanley Kozik at stanleykozik@soma.edu with completed applications.